Till now we have assumed that all the flux linked with the primary also links with the secondary. 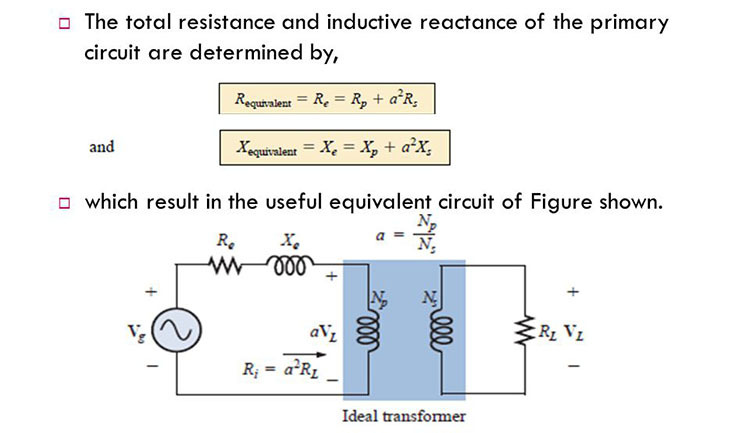 But in practice, the permeability of the core of the transformer is finite. All the flux linked with the primary do not link with the secondary. As shown in Figure 1.29(a), ΦL1 and ΦL2 induce emf eL1 and eL2 in primary and secondary windings respectively. Therefore, in effect, we can consider it as an equivalent inductive coil in phase with the winding shown in Figure 1.29(b).